The “C” in CARE stands for “Core” investments. The Core of a CARE portfolio is made up of a range of Exchange Traded Funds (commonly called ETF’s) and fixed interest fund managers that are multi-sector, multi-manager securities and funds that are invested according to your risk profile. Your Core investments, together with your risk profile are a strategic mix of Australian shares and bonds and overseas shares and bonds including property and other assets. The “A” in CARE stands for “Active” investments. This is a tactical blend of ETF investments which includes Australian Shares, Global Shares, Emerging Markets, Global Small companies and gold. The Active component within the portfolio is designed to smooth out the volatility of each sector and provide you with a nice consistent return overall. The “R” in CARE stands for “Reserves” including risk management. The Reserves component offers liquidity and cash to the portfolio which provides a necessary balance overall. The CARE process manages two key risks, the first by insuring assets are allocated according to your risk profile and secondly by providing cash reserves so that the risk of you having to sell assets in market periods that are declining is mitigated. Reserves are an important component of CARE where we set aside 4 years of Reserves, especially for retirees, because as markets drop, if you don’t have enough Reserves you may panic and sell. The Reserve is a good buffer for peace of mind and to assist you with the cash flow you need during these investment market downturns. Finally we come to “E” in CARE which stands for “Enhanced Returns” portfolio, this is simply made up of single listed Australian shares also known as the blue chip companies (Telstra, big four banks, large mining companies) which are fairly stable and produce good dividends for our clients. Investors also have the option of investing in an international share portfolio managed by a specialist manager. The Enhanced Returns portfolio is sometimes also referred to as the “Alpha” return portfolio because at different times during market cycles, when blue chip companies perform extremely well, they exceed average market returns. So what is the CARE Investment Philosophy? Fundamental to the CARE Investment Philosophy is what is known as the DALBAR Study. The original DALBAR Study was conducted between 1980 to 2000 in the USA on the top 500 US listed companies. The study found that the average return over that 20 year time period for the 500 companies was a 12% return. Do you know what the return was for investors over the same period? It was around 4% over the same 20 year period! That’s a poor average investor return. The number one reason for the 8% difference was bad investor behaviour. See the DALBAR emotional roller coaster schematic below. 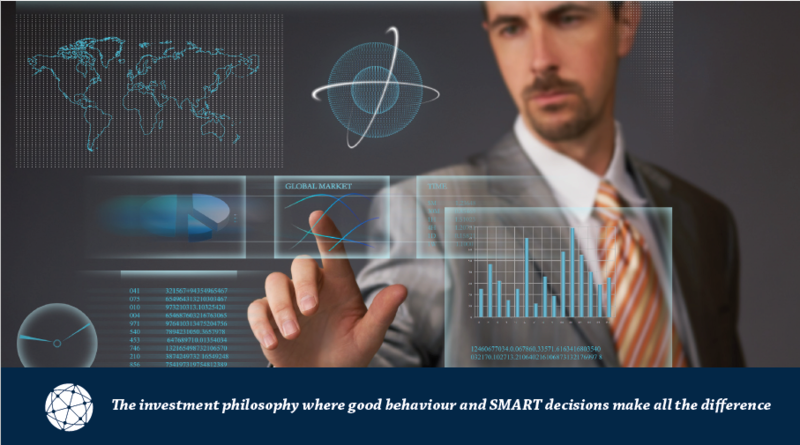 The CARE Investment Philosophy believes that 50% of your returns are made up by your investment behaviour. A further 45% of your return is to do with asset allocation and the remaining 5% is timing and selection. The traditional investor would contest this and say the investor return equation is 90% asset allocation and 10% timing and selection and has nothing to do with investor behaviour. However, based upon the DALBAR Study we do know that 50% of returns are based on investor behaviour, which has a critical impact on your returns. See the impact of investor behaviour in the picture below. The DALBAR Study found that the average holding period by investors who said they were investing for the long term was just over 3 years! Those investors made bad short term decisions based upon events happening in the world at the time. That’s why the CARE Investment Philosophy was designed – to stop investors from blowing up money, to prevent bad investment decisions being made in down markets and to stop the dangerous DALBAR cycle that destroys the wealth our clients have worked so hard to create. Are you interested in an excellent investment philosophy that protects your investment future? For more information and to discover the benefits of the CARE Investment Philosophy you can watch a series of informative videos. Investing together with other like-minded individuals. There are a list of services we provide for CARE members.